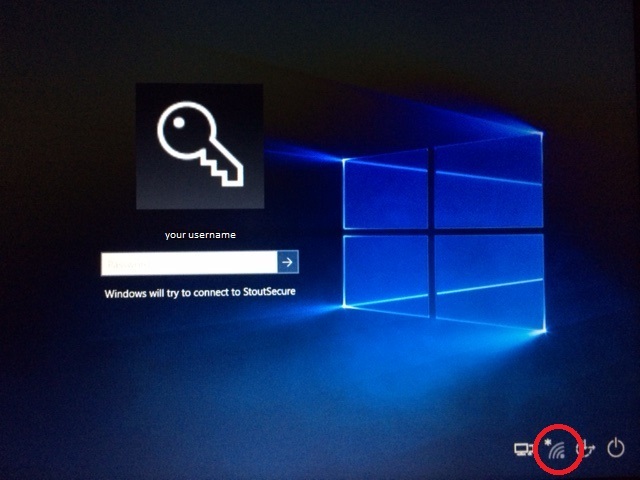 How can a user login to a campus computer for the first time when off campus. Faculty and Staff (domain) computers require network authentication to log on the first time. Computers must be able to communicate with the credential manager on Stout's network; while off campus. VPN connection can provide that communication. Following a successful the login the user's profile will be created on computer. Note: After first login you will not need to be connected to Stout's network to login. The same steps can be employed to log into a computer off campus that is not accepting a newly-changed campus password.